Busy day on the blog! For my Heffy Doodle post please click here! For my Hero Arts post please click here. For my Lawn Fawnatics post please scroll down or click here. Good morning! 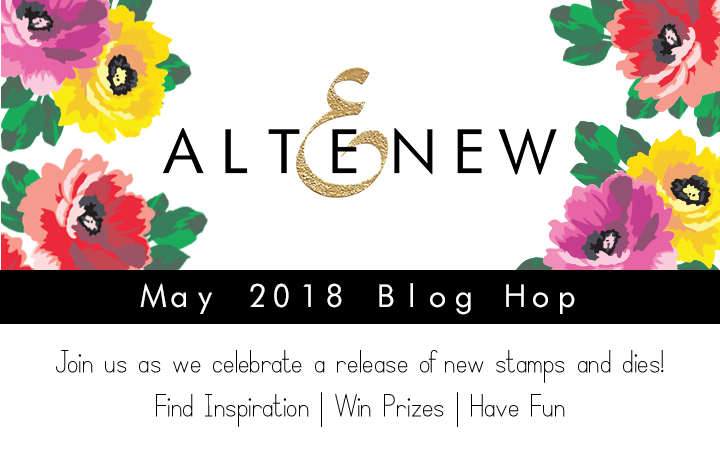 I’m thrilled to be joining the amazing Altenew design team to celebrate their May 2018 release! 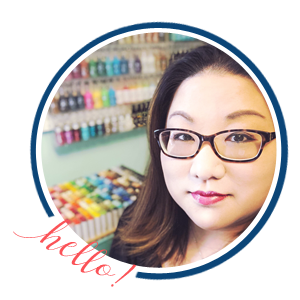 They have a beautiful selection of stamps and dies in this month’s release! I was looking through my cardstock stash and decided to use a color that I don’t think I’ve ever used before and I love how it turned out with my trio of cards! 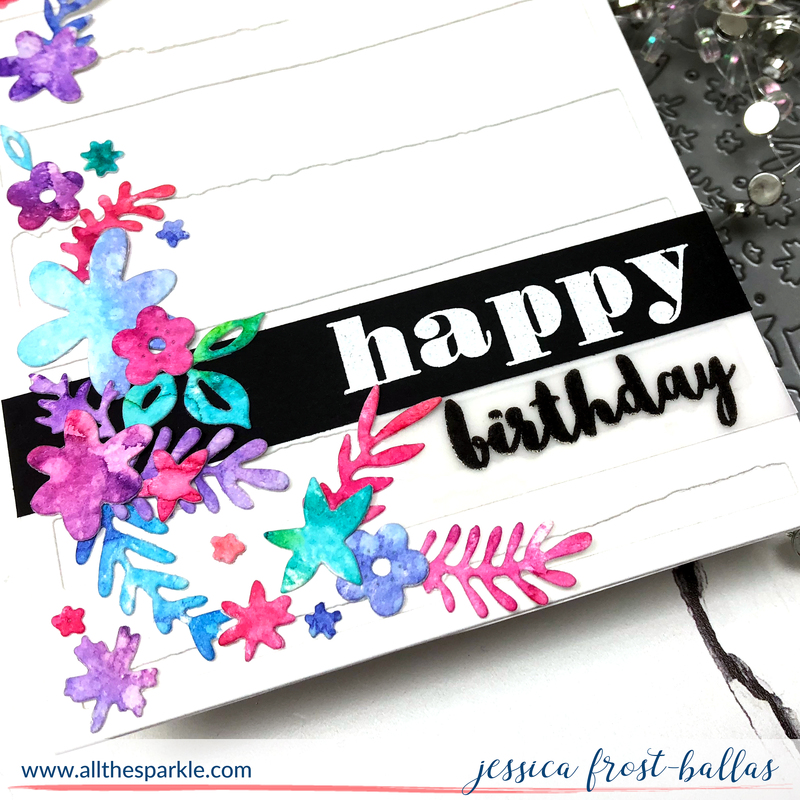 My first card takes a little inspiration from that pretty Rifle Paper Co. notebook. 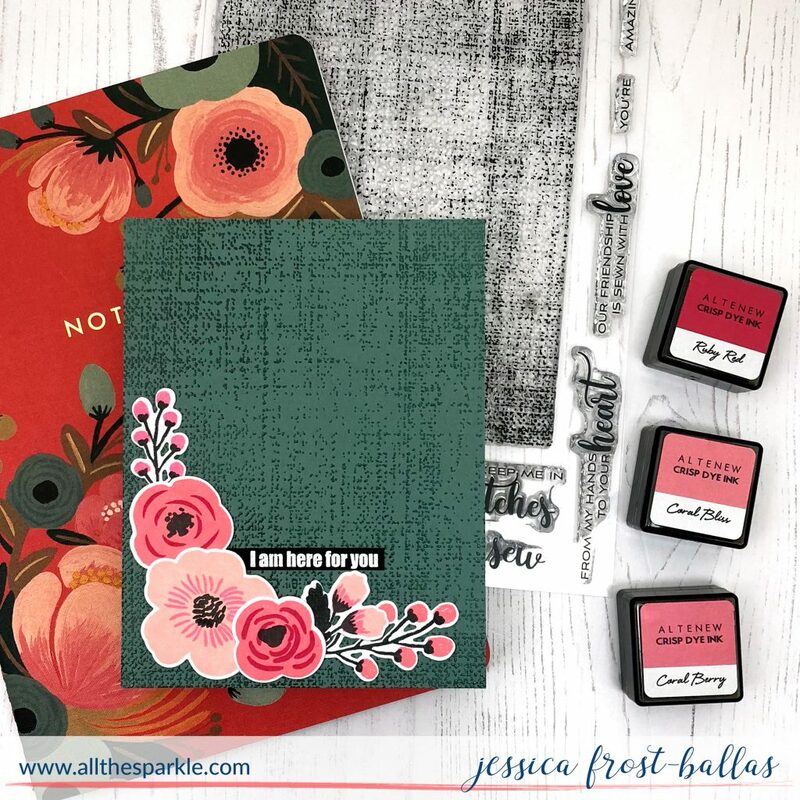 I started by stamping the flowers from Bride to Be on white cardstock with peachy pink and red inks from Altenew. I die-cut them with the coordinating dies and experimented with arranging them in a variety of ways. Next I stamped the fabulous Rustic Linen stamp onto that muted teal cardstock with versamark and heat-embossed it with clear embossing powder. I arranged the flowers over the panel and added a heat-embossed sentiment from Starry Flowers. For my second card I started by stamping the Starry Flowers floral image onto watercolor paper with versafine and heat-embossed it with clear embossing powder. Then I watercolored it with my Mijello Mission Gold watercolors. Once it dried I die-cut it with the coordinating die. 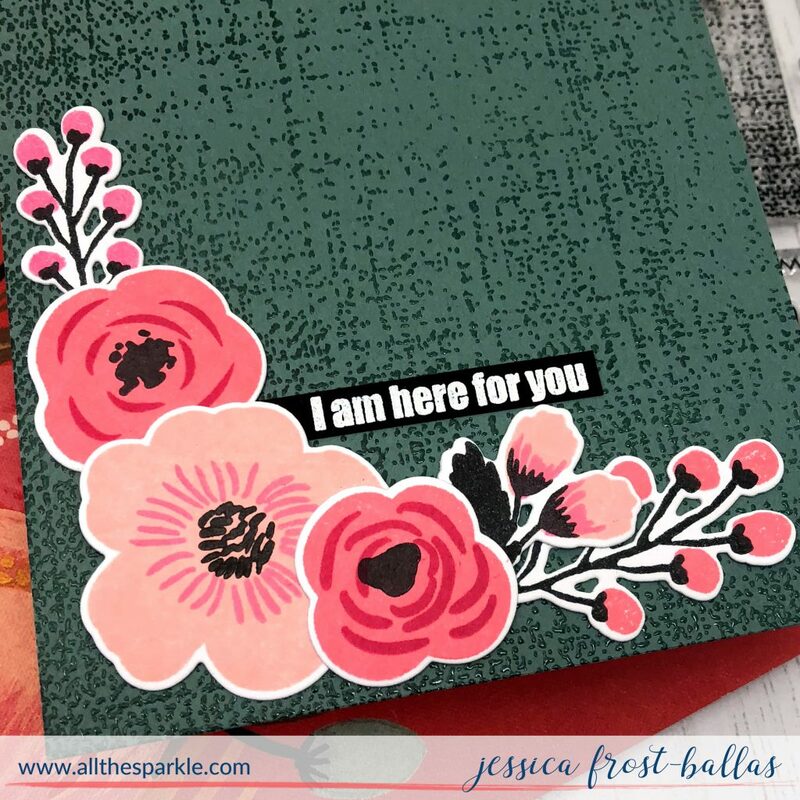 I stamped the sentiment from the Garden Silhouette set onto white cardstock with versafine and heat-embossed it with clear embossing powder. My last card used the same teal cardstock but this time I stamped directly on the panel. 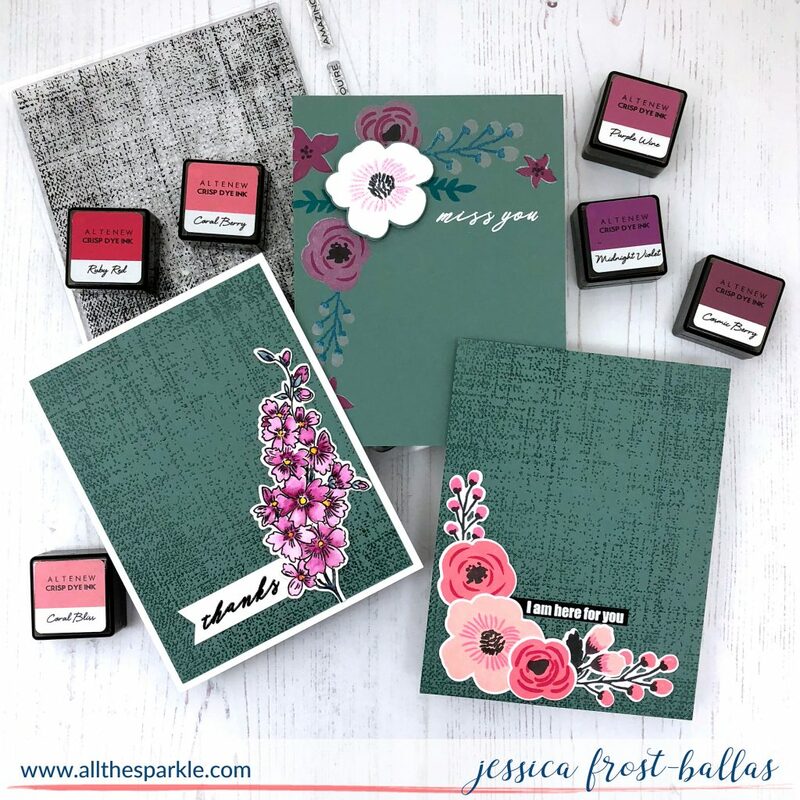 I started by stamping the florals from Bride To Be on the teal cardstock with white pigment ink. I blasted it with a heat gun and then restamped the images on top of the white pigment ink with a variety of purple and green inks from Altenew. 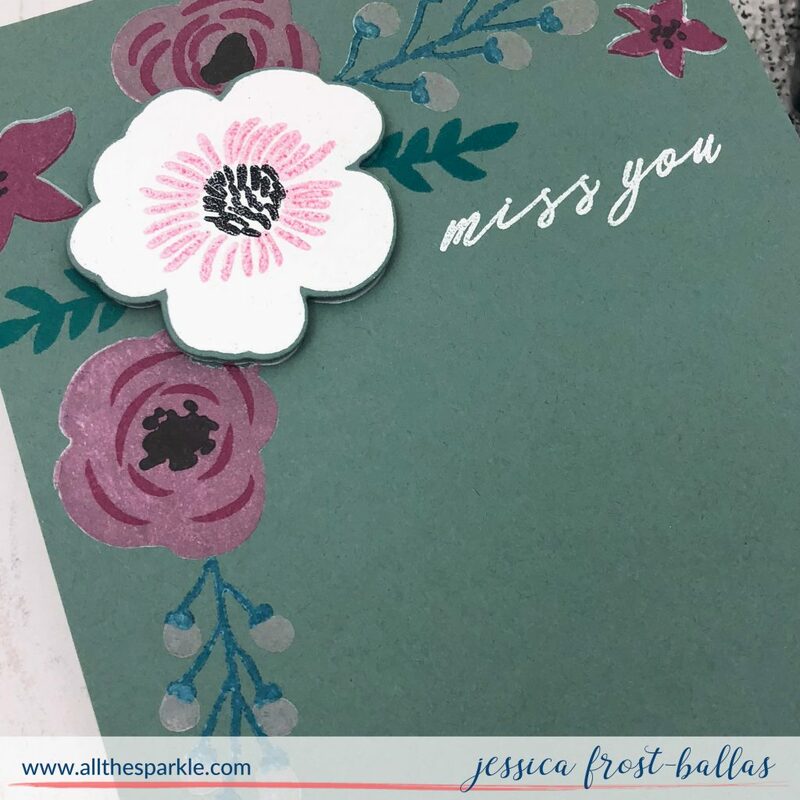 I also stamped the large white flower on a scrap piece of teal cardstock and heat-embossed it with white embossing powder. I stamped the inner layers with pigment inks and heat-embossed them with clear embossing powder as well to keep them from smudging. Then I die-cut the flower with the coordinating dies and popped it up with foam mounting tape. I also stamped the sentiment from the Garden Silhouette set and heat-embossed it with white embossing powder. To celebrate this release, Altenew is giving away a $50 gift certificate to SIX lucky winners! Please leave a comment on the Altenew Card Blog and/or Altenew Scrapbook Blog by Friday, May 26th for a chance to win. Six winners will be announced on the Altenew blogs on 5/27/2018. And, there’s even more good news! 😉 EVERY stop on the hop is giving away a $30 gift certificate so the more you comment, the more chances you have to win! Please leave your comments by 11:59PM EST on May 25th and the winner will be announced on May 26th! Adore what you created – stunning cards. Wow! These have so much color and are so gorgeous! You are very talented. Thanks for sharing. Wow I love the unique colors of your cards today. You’ve inspired me to begin my collection of Altenew coordinating color sets. I always struggle with my layering stamps because I don’t know which colors to use together (I don’t have Altenew inks at all yet). These sets would make my life so much easier! a must have! As well as the beautiful linen BG stamp. 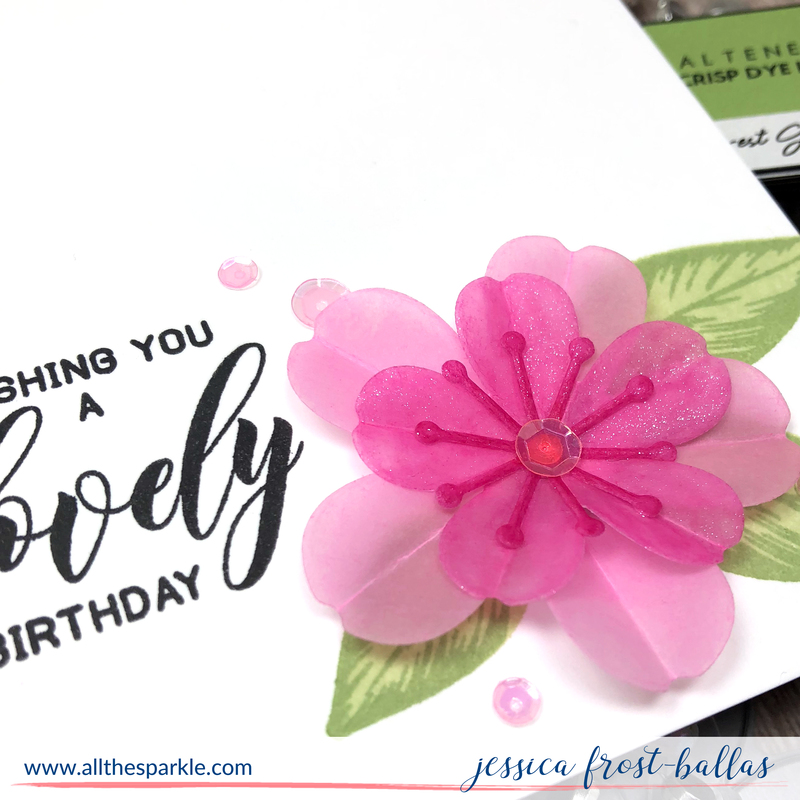 Gorgeous cards….the colors are AMAZING together!! I love the simplicity you kept, just so beautiful!! Love the organic look of your cards. The choice of paper for your base card beautiful. Beautiful use of the background stamp. Especially love the green card stock. I especially love the Starry Flowers! Really love the results you have achieved by using the darker card bases. Very inspiring. Thank you. Love the new Rustic Linen background stamp. Looks like it will be very versatile. Love how you combined it with the spray of flowers. I really like the colors you have put together. So beautiful! Great cards! That background stamp is awesome! These are all great cards. I really like the Rustic Linen background stamp. 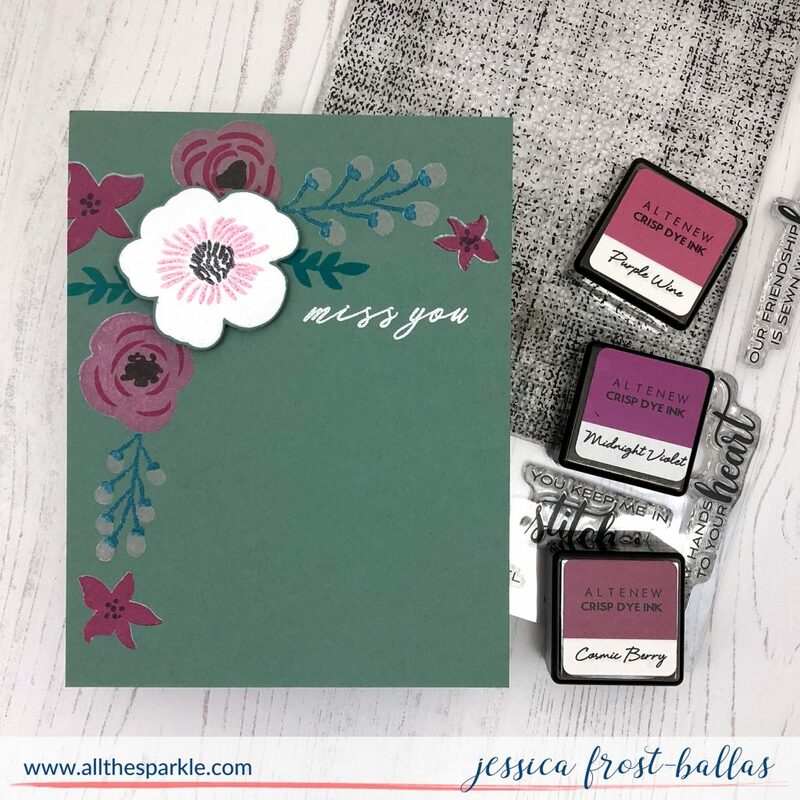 Love the colors and I really, really like the Rustic linen stamp in black on the teal background! Gorgeous. Unusual and beautiful color choices! 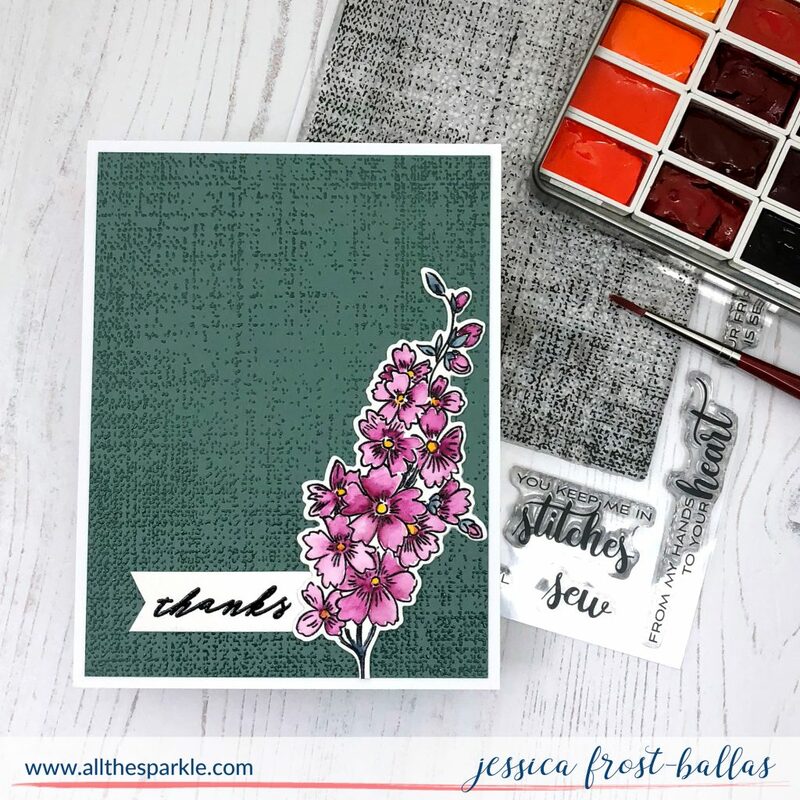 Love the linen background stamp on the teal and the flower colors add a real punch! Just lovely! beautiful palette for all of your designs. The flowers are gorgeous – as always. Gorgeous cards! I love that linen background! thanks for the inspiration! That linen stamp is becoming a must have. Gorgeous cards! Love the linen background! Beautiful cards, fantastic release from Altenew.